The Henderson riverfront is the place to be this Saturday when two art events add fun and color to downtown. The DHP Artisan Market is set for Saturday May 31, 2014 from 10am –5pm. The Market will take place on Water Street and within Audubon Mill Park and will include artisan items, food, music and children’s activities. Admission to the event is free. This event, under the oversight of the Downtown Henderson Partnership, introduces residents and visitors to a diverse selection of local products. Over 50 vendors have signed up to sell items such as upcycled furniture, textiles, jewelry, photography, handmade soaps, paintings and more. Pollack and landscape painting, theater activities, sidewalk chalk art and colorful coasters are among the scheduled children’s activities for the afternoon. These activities are sponsored by Riverbend Academy. 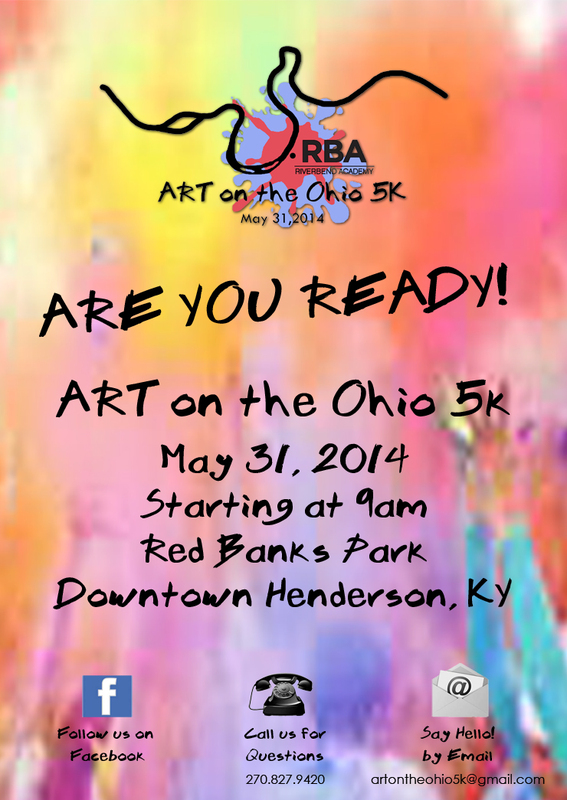 Riverbend Academy will also hold their annual Art on the Ohio 5K run starting at 9:00 a.m. in Red Banks Park. Participants will be blasted with color as they enjoy a run throughout downtown Henderson.